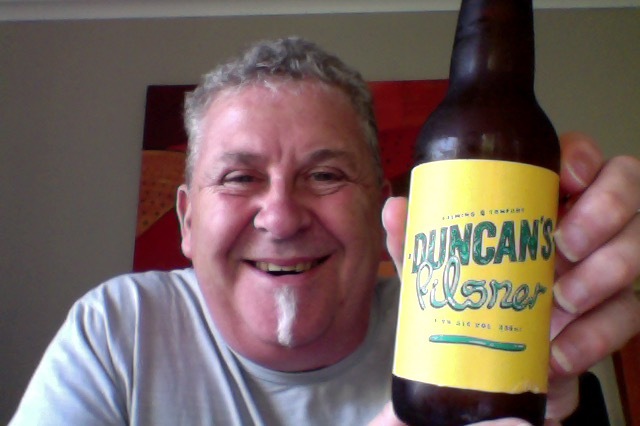 The continuing enjoyment of the Duncan’s Polymorphic Mix 6 pack that I was gifted as a present. Today I’m having a pair of beers that I’m familiar with, and have had before. A New Zealand take on an old world classic. A crisp, dry lager, nicely hopped with floral notes of citrus and spice. Looking magnificent a pale pale yellow pour with plenty of carbonation and a good finger of a firm white head. There’s a real grass note in this, and there is an abrupt and jolting dryness, no gap just wham! The aroma has a lot of that grassiness about it too. So this is a step up on a standard everyman/euro lager in three things, aroma, taste and finish, which is what you’d expect from a premium craft beer. Is this the craft Pilsener that you’ve been looking for, or indeed if Pilsener is your thing would this be your thing? For me that grassiness is too ‘fresh’ or ‘Raw’ and too short, an that dryness would creep up and exhaust me if I had to drink more than a couple of these. So whilst it is nice, and perhaps good, it isn’t a beer that I could go out of my way for, and sadly this still isn’t for me. The pdubyah-o-meter rates this as 7 of its things from the thing. Given a re-work this would probably make the backbone of a brilliant IPL, but I don’t think that I’m really a pilsener guy at heart. 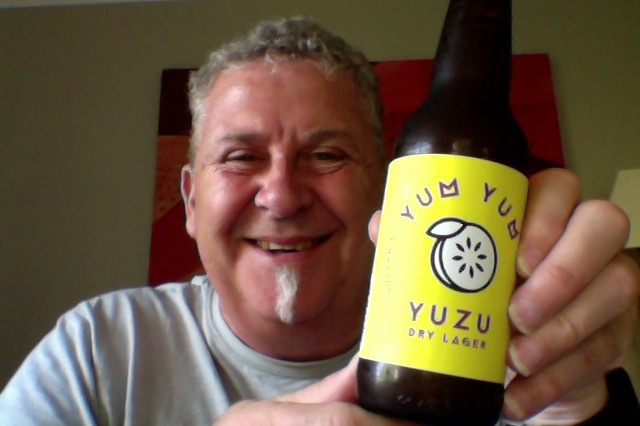 I’ve had this beer a few times, the Beer Jerk people sent me on, and as I’ve said before they’re pretty discerning. 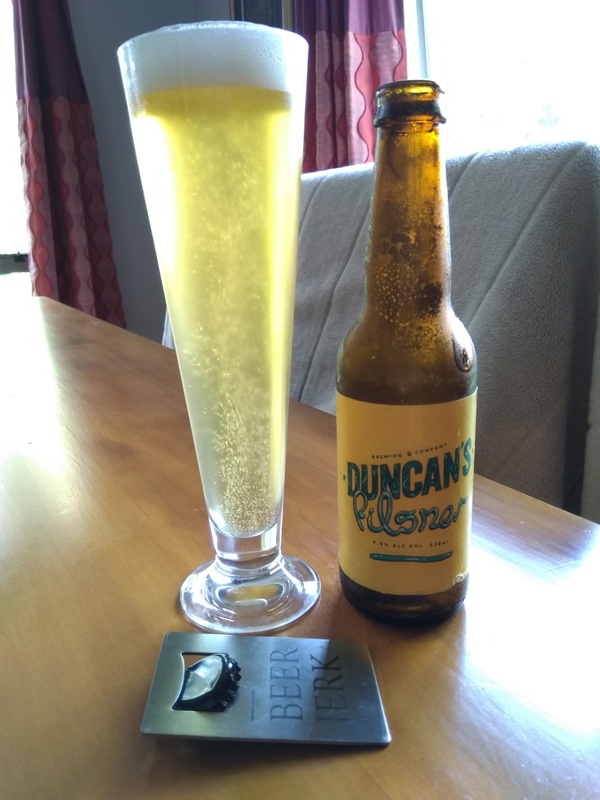 Much paler than the Pilsner and with a large firmer but just as bright white head in the glass. not as lively carbonated in the glass. Aroma is kind of a musty thing, there’s no hint of a citrus inclusion . I’m sure that this is different every time I have it, this time the citrus hit is really light and faint, and this carries with it an underlying mustiness. So not the first time I’ve had this, and I’ve still not got on board with this, which plays more to that unease about what it is they’re presenting. 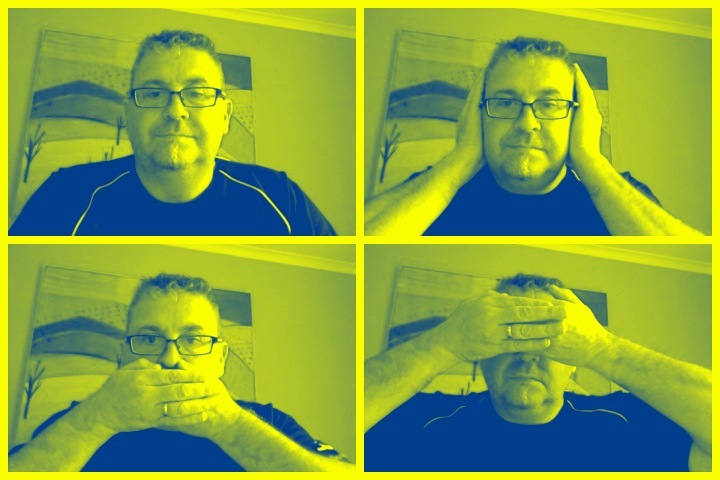 Also I think it reaffirms that I’ll tolerate a lager or pilsner but there’s not a lot of places to go with them, and tossing in some lemon, or citrus, however exotic can’t mask the fact that it is the empowered new clothes. With this you don’t get the best of any world, for me it is an average lager with an average flavour addition. But you just can’t like every beer, right. The pdubyah-o-meter rates this as 7 of its things from the thing. I might be critical but I try to be fair, and if you’re beer can’t make a 7 then possibly you shouldn’t be making a beer. This is rightly liked by people who like Lager and Pilsners and I’ve got nothing to say about that , except for me, yeah na. Where did I get it? The box was a gift from my Son, good lad. Would I share with a friend on a porch and set the world to rights? So far yes, these are gosh good beers that you should enjoy as outstanding examples of beering from the brewing team. 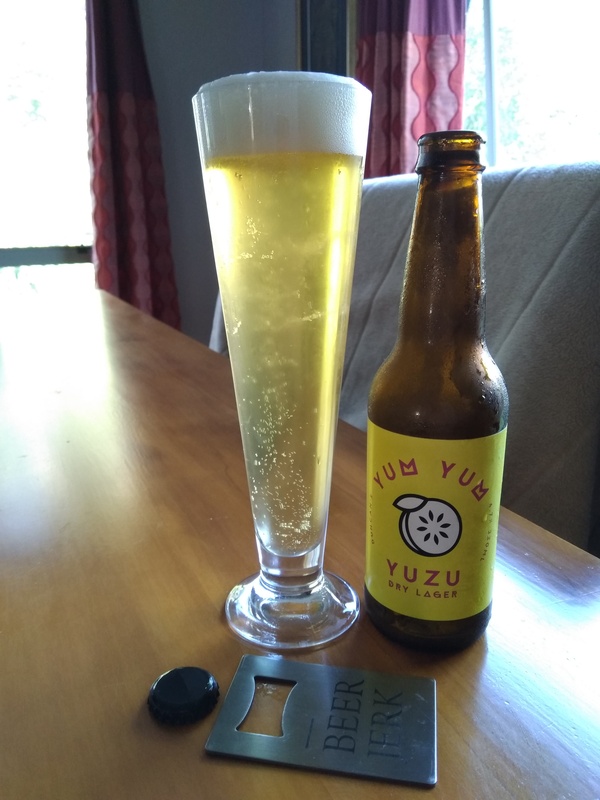 This entry was posted on January 12, 2019 by Philip Walter in Beer, Beer of New Zealand, Beer Review, Craft Beer, Critic, Duncan's, Fruit Beer, Pilsener and tagged Duncan's Brewing Co, Yum Yum Yuzu Lager.